Universal Citywalk is located in Los Angeles, California, and is loaded with an abundance of shops, restaurants, movies, and much more. Within the Universal Citywalk, you can find stores like Hot Topic, Abercrombie & Fitch, Billabong, Sephora, the Universal Studio Store, as well as many other options. As for eateries within Universal Citywalk, you are given an array of options like Ben & Jerry’s, Cinnabon, Voodoo Doughnut, Poke Bar, Smashburger, Jamba Juice, Jimmy Buffett’s Margaritaville, and many other establishments that can fulfill your food cravings. At Universal Catwalk, guests are also able to visit the Universal Cinema to watch all new movies through different platforms such as IMAX, 3D, and more. Universal Cinema has eighteen newly remodeled auditoriums, a multi-dimensional sound system, high tech laser projection, and state-of-the-art deluxe reclining seats that you can reserve when you purchase your tickets. Jimmy Buffett’s Margaritaville is open and ready to present its customers with delicious dishes that are perfect for lunch, dinner, or late night meals. Under their lunch menu, Jimmy Buffett’s Margaritaville offers their patrons delicious dishes like fish & chips, jambalaya, kabobs, and more. For their dinner menu, options such as enchiladas, shrimp & grits, barbecue ribs, and tacos are available for order. As for their late-night menu, it is filled with scrumptious burgers and features signature dishes such as coconut shrimp, savory club sandwiches, and much more. Jimmy Buffett’s Margaritaville also has an extensive drink menu that features fourteen different kinds of margaritas, eighteen different kinds of tequila, twelve different brands of draft beer, ten types of bottled beers, six different red and white wines, and a large number of other mixed drinks. Guests have the option to purchase wine either by the glass or by the bottle. The dessert menu of Jimmy Buffett’s Margaritaville is left to the simple classics like key lime pie, brownie sundaes, chocolate banana bread pudding, and strawberry shortcake. Located just twenty-eight minutes away from Universal Citywalk and thirty-four minutes away from Jimmy Buffett’s Margaritaville is the Rodeway Inn Los Angeles. 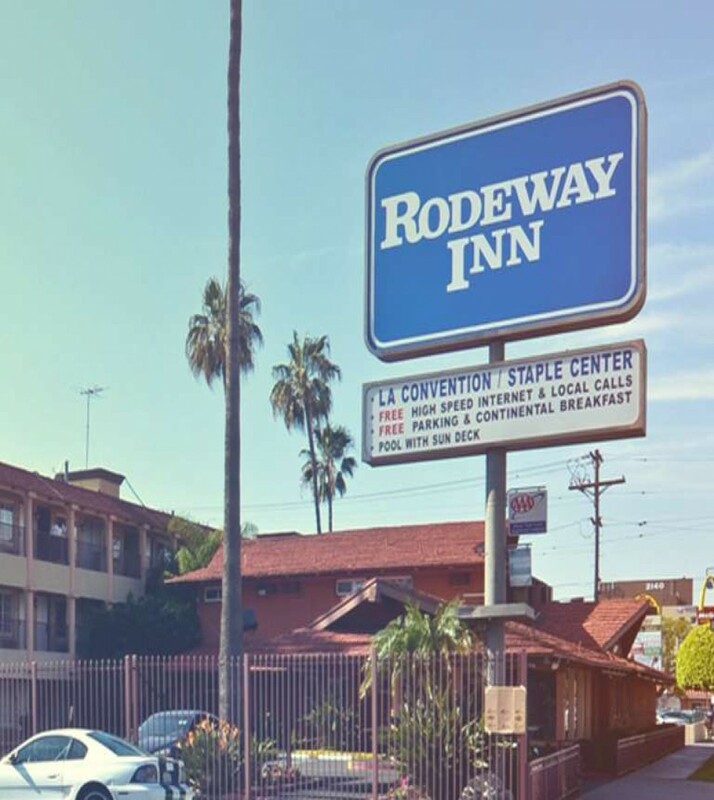 When you stay at the Rodeway Inn, Los Angeles, your comfort is their main concern, and they strive to make sure you feel right at home. Featured at the hotel is their lovely outdoor swimming pool, daily complimentary continental breakfast, concierge service, and much more. Book your stay at Rodeway Inn Los Angeles today and find the best rates on rooms.